I just recently won a 22ple prize pack from my local detailing supplier valued at around $300. It includes a bunch of their high end semi permanent coatings for paint, wheels, glass etc. I am going to use it on my '03 Honda S2000 this spring, cannot wait! 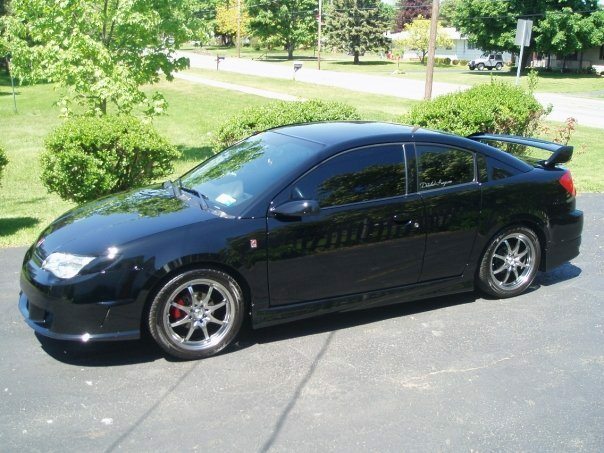 My '04 Saturn Ion QC - My first car, bought brand new. Owned for 9 years, finally sold it a few years ago. 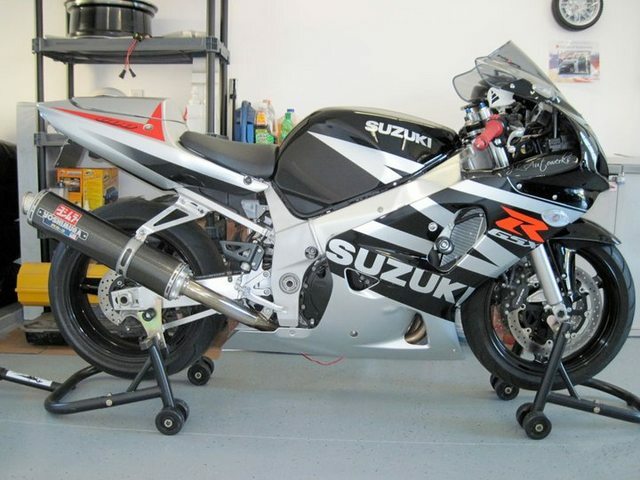 My '03 Suzuki GSXR-600 - My first bike, sold it when I moved out. So that being said, any other detailing fanatics on here as well? Last edited by choppstixxx; 02-03-2015 at 10:19 AM. When I was younger/single I detailed my truck weekly. It was black and dirt showed up more than anything. I didn't go crazy like you just described, but I would spend a few hours on it making sure it was clean. I would take a toothbrush to the wheels and that was insane thinking back at it. Now that I'm married it's the old car wash unless I'm bored lol. Use to be a major detail fanatic but I just don't have the time. Since buying my new truck in 2009, I joined the Waterway Clean Car Club which gets it to about 90% of where I would have normally got it. It's not perfect, but I no longer have to spend a half a day detailing. motoo (mitch) is one, he owns his own detailing business! Me without a doubt. Zaino and menzerma for me. Wish I knew Josh, I coulda talked your ear off about detailing cars at the Bridgestone event! 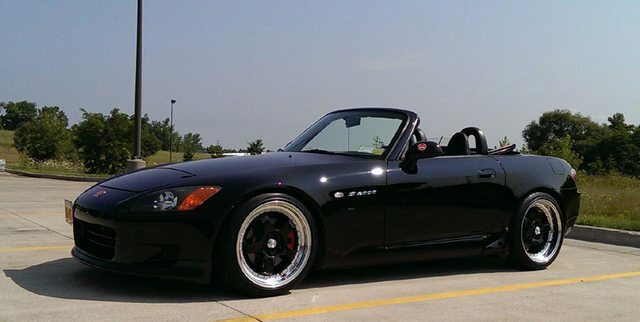 Great looking S2000 btw, love that series. Thanks man, I love the '03 AP1 (best year IMO). That was the last year of the 9K redline and I just love the body aesthetics vs. the AP2's. I used to detail my Cobra constantly and it was exhausting, but I loved that car. Since then I keep my cars clean, but nothing special. Next time brother. I polish, glaze and seal all the time. Try Farecla Black Top on dark colored cars and gold Top on light colored cars, beautiful polish. Also if anyone has questions about what detailing products to use for what, I am more than happy to help. Last edited by motoo344; 02-03-2015 at 12:41 PM. Great work Motoo, I love seeing a car like that transform inside/out. I am so used to my cars being very well taken care of/clean, it's refreshing to do a detail like that. Interiors are not really my forte when it comes to very dirty ones tho. I usually stick to the exterior and now en days I hand pick what kind of car's I work on. Mostly well maintained vehicles that just have light/med. swirls, with very minimal correction needed. The worst I ever have to do was a Dodge Cummins pickup that ran on veggie oil, what a mess. Thanks. You are brave for owning black cars, I will never own another black car again and I change cars quite frequently. Most of the stuff I do now is more of the daily driver cars, I cannot be as picky right now trying to break into the market. People that commute a lot are the tough ones because the insides are always so gross. I was going to take a clear film class last month but I just have a lot of expenses still so it had to go on the back burner. I really enjoy working with CarPro products and my go to coating is Cquartz. I am hoping I lined up a Viper for the spring for some work. I have four jobs in limbo right now and I would really like to get my coatings up to 2 a month. I have a specific vision in mind with what I want to do.